On Easter Sunday there was rejoicing and music and flowers and alleluia. But when the flowers fade, and the pressures of life seem so heavy; when the brokenness of this world breaks our spirits; when we have come to a dead end -- also rejoice. Because it is exactly there that the risen Christ meets us. It is precisely there that we are given resurrection life. It is at that point that we say, "Christ is risen. Christ is risen indeed. Alleluia." While we remember this especially on Easter, this promise is just as true in every other moment of life. So onward we go with our ministry, emboldened by new life in Christ meeting us each day and each step ahead. Click here to see photos and stories from throughout Holy Week, and check out all the exciting things coming up here at Advent below. Enjoy a video from Calderitas and special liturgy in worship, plus information sessions about this summer's trip to El Salvador at 10:10am and 12:10pm. 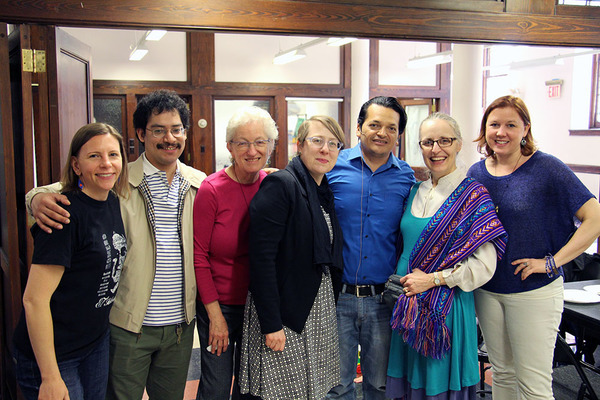 El Salvador Sunday is an annual tradition here at Advent that grew out of our blossoming relationship with the Lutheran Church in El Salvador. How did we get connected with this church on the other side of the globe? Like many ministries at Advent -- it started with one person. In a January e-letter we looked how our food ministry, now taking the shape of two thriving Community Lunch and Food Pantry programs serving hundreds, began with Leroy Tucker setting up a table stacked with sandwiches on 93rd street. For Norma Martin, the call to El Salvador began with her son, Lukas, who was born there and adopted as an infant. "My son was born there, so I had been interested for a very long time in the country and its history and culture," Norma shares. When she learned U.S. Lutherans had continued to "accompany" the Lutheran Church in El Salvador after the civil war, she bought her ticket. "On our first day there, our driver and trip organizer took us to see the hospital where Lukas was born. Most people have seen the hospital where they were born, and it was very special for Lukas and me to have that opportunity." But Norma's experience in El Salvador went far beyond her personal reasons for going. "El Salvador is a poverty stricken country with a long history of extensive violence. When I visited, I heard the testimonies of many Salvadorans about what life was like during the war, and how they had suffered. Despite this horrific suffering, unimaginable to most people from the United States, the Lutheran Church there is joy- and faith-filled. I was moved by the faith, hope, generosity, and warmth of the people I met there." Through Norma's experience and continued leadership of our group, many more people from Advent have had the opportunity to be transformed by their experience of both incredible hardship and incredible faith in El Salvador. You can read first-hand accounts of their experiences in last summer's Advent in El Salvador blog. This Sunday in worship, we'll celebrate our relationship with our sister church in Calderitas, and watch a special video from their pastor, Pastor Christian. You will also have the opportunity to learn about El Salvador, our sister church in Calderitas, and this summer's trip to El Salvador (July 18-25) downstairs after both 9am and 11am worship. We encourage you to learn more about the trip, and consider being transformed in El Salvador this summer. 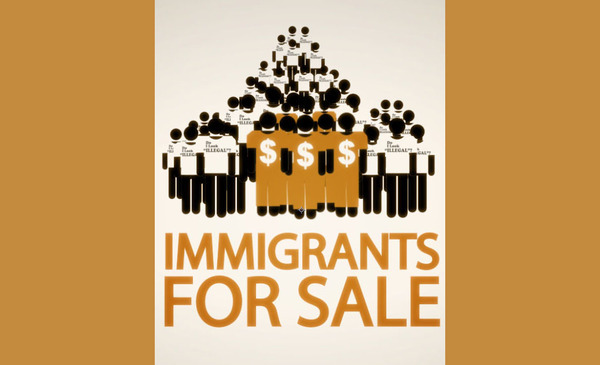 We're hosting a screening and discussion of the films "Immigrants for Sale" and "Pursuing the Dream: A DACAmentary." Pastor Gary Mills, who works on immigration issues with members of Advent and beyond, will lead the discussion. Join us for an enlightening and thought-provoking evening of film and conversation, as we explore how to advocate for just immigration reform. Our Mission of the Month this April is Lutheran Ministries in Higher Education (LMHE). 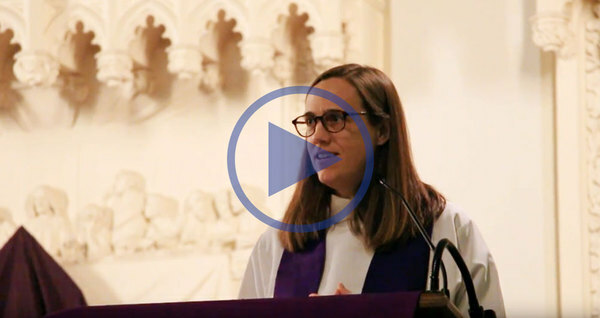 As the pastor and executive director of LMHE, Pastor Becca Seely leads the citywide Vine NYC College Ministry Network and Advent’s own LaMP Campus Ministry in Morningside Heights. Her ministry with LMHE helps young adults connect to supportive Christian communities, grow in faith, and claim vocations of service to neighbor during their transformative student years. Earlier this month Pastor Becca shared a beautiful sermon with us in worship about coming out of our tombs, being our fullest selves, and claiming the salvation and new life Christ brings us here and now. Whether you missed it or just want to re-watch it (we do), here's a video of that sermon. 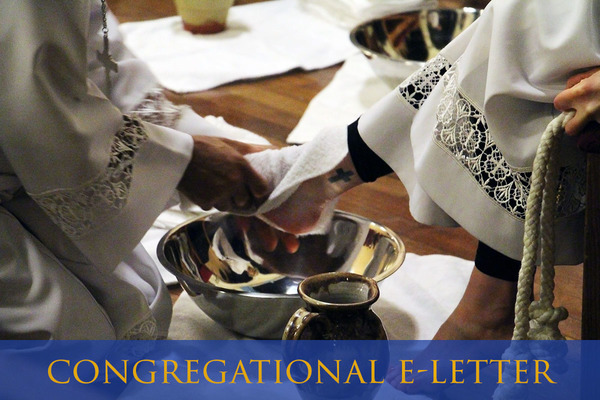 Enjoy, and please consider supporting this valuable ministry with college students in New York City by making a special contribution to LMHE this April. The organizers of our Annual Congregational Retreat this August 4-6 invite you to an ice cream social after 11am worship on Sunday, April 30. 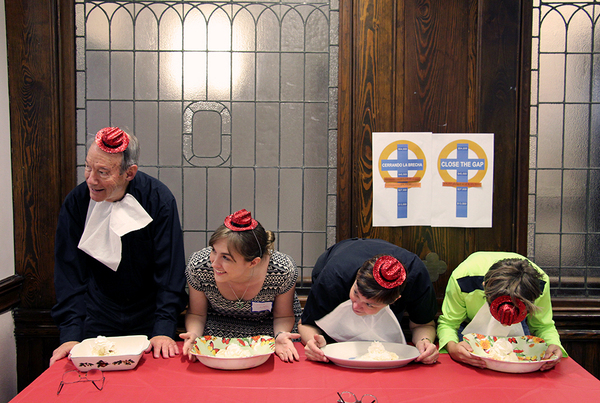 Come watch our annual no-hands ice cream eating competition, enjoy your own ice cream sundae (spoons allowed and encouraged), and learn more about our annual retreat at the beautiful Koinonia retreat center two hours upstate. It’s a weekend that leaves everyone feeling more connected and rejuvinated -- so consider joining us! Adult Education | Meets at 10:10am in the basement fellowship hall. This week's topic El Salvador, our sister church in Calderitas, and our annual Equipo El Salvador trip this July. The Vine NYC Gathering | Worship and dinner for college students. Meets at 5:30pm at Gustavus Adolphus Lutheran Church on East 23rd Street.